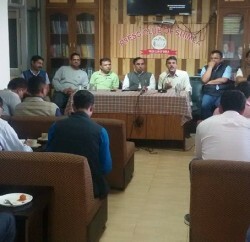 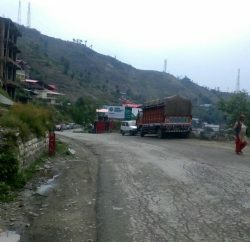 The Theog-Hatkoti road has been the talking point for many years now. 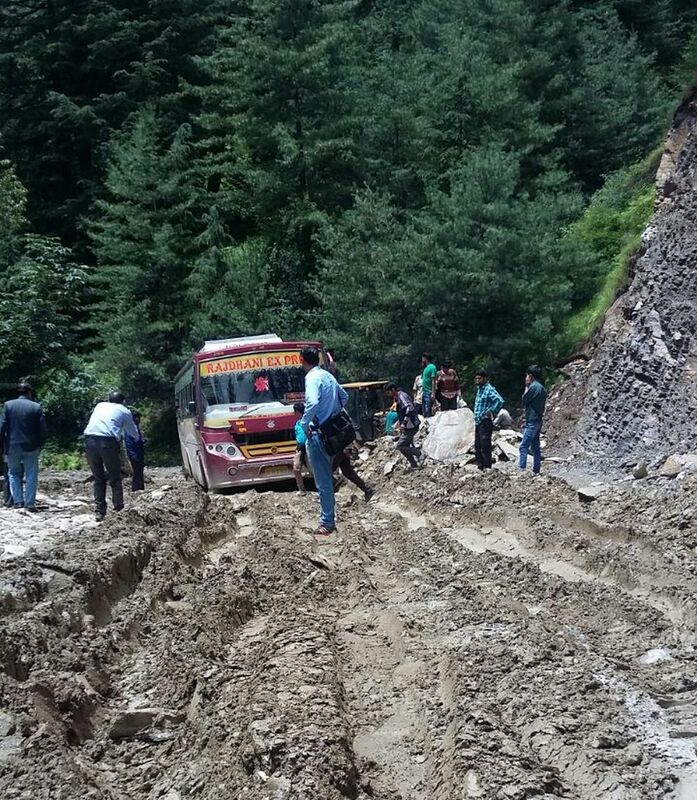 Governments have come and gone, but situation of the road has only gone from bad to worse despite adequate funding from the World Bank. 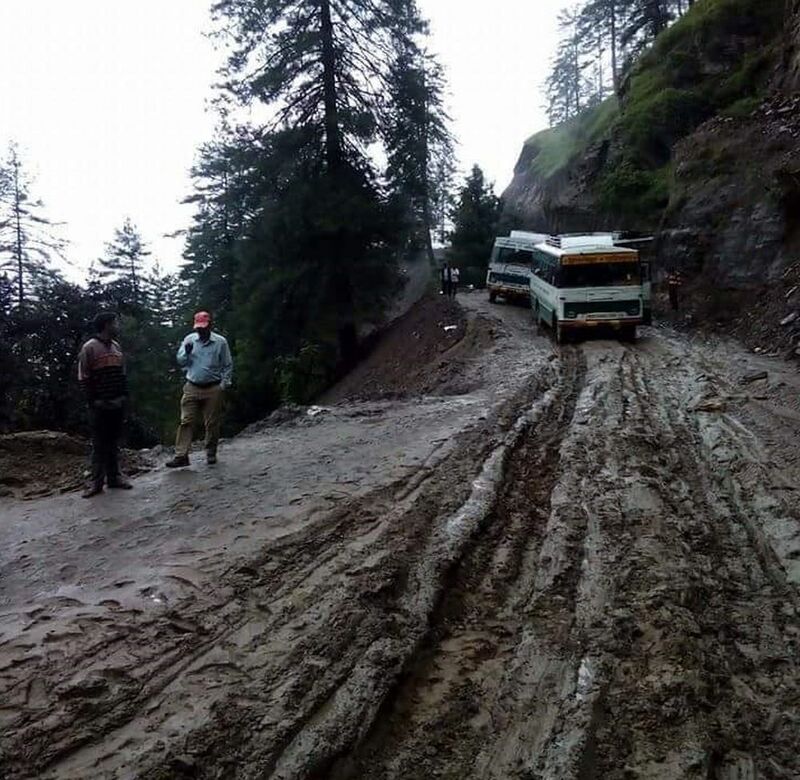 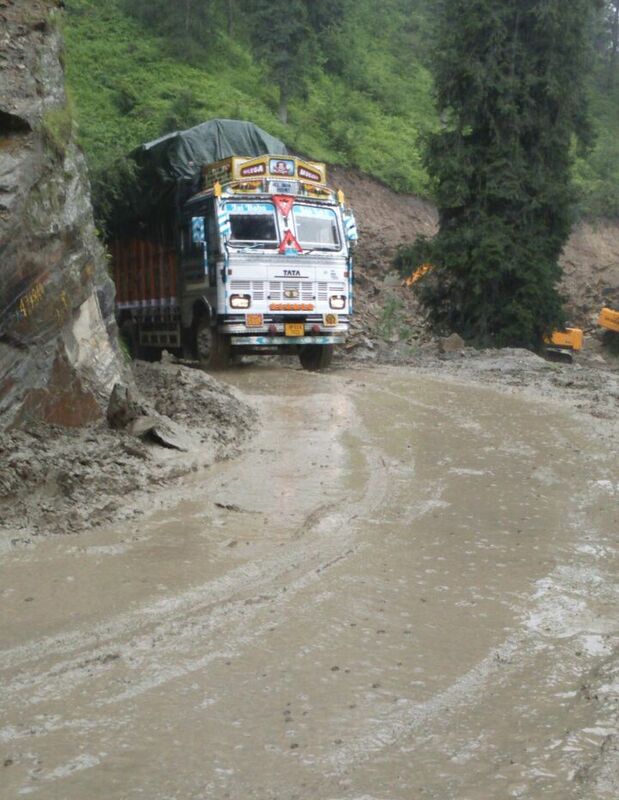 Presently, situation of the road is so grim, thanks to the monsoon and the heavy traffic due to prevalent apple season in the region, that JCBs are being used to tug loaded trucks out from the slushy road. 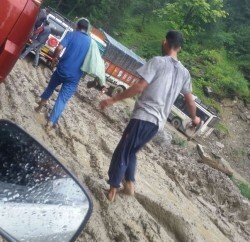 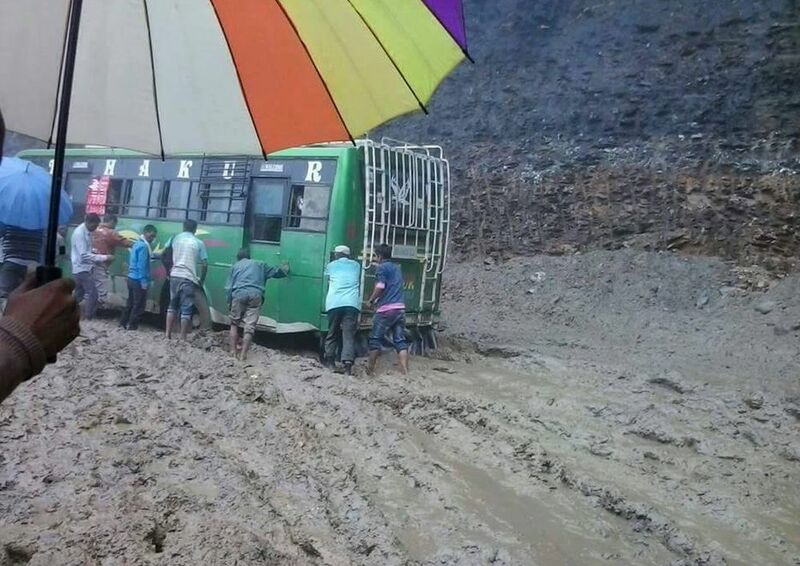 The muddy and frequently breaking road (due to landslides) is making movement of vehicles very difficult. 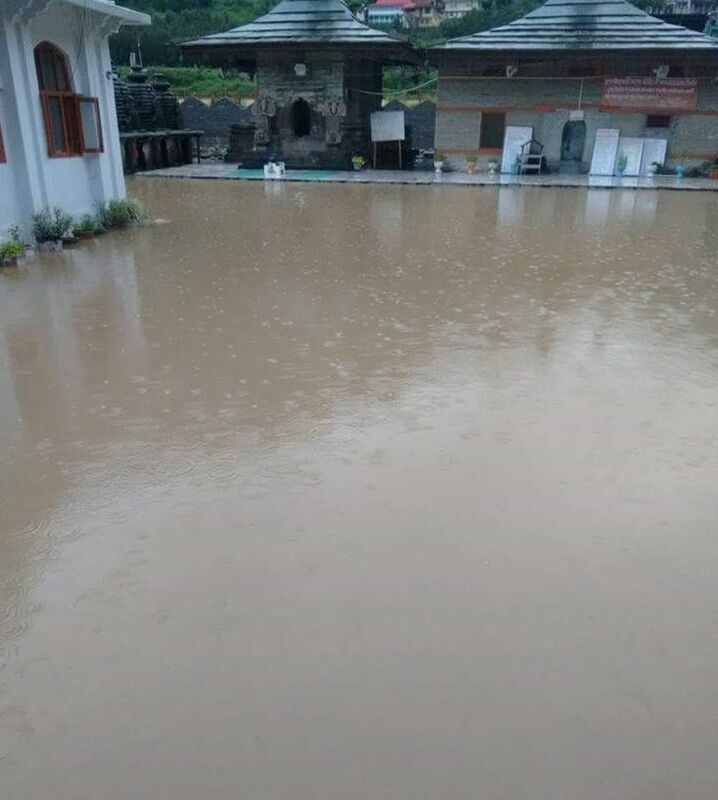 The condition at Hatkoti is so grim that mud and water from the road has now started flowing down and into the Hatkoti temple premises. 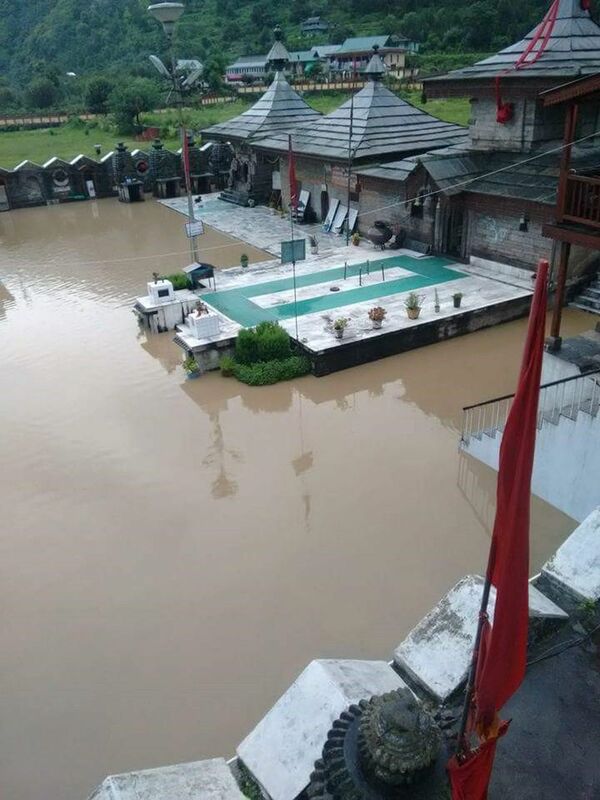 Scroll down to see disheartening pictures that speak for themselves.